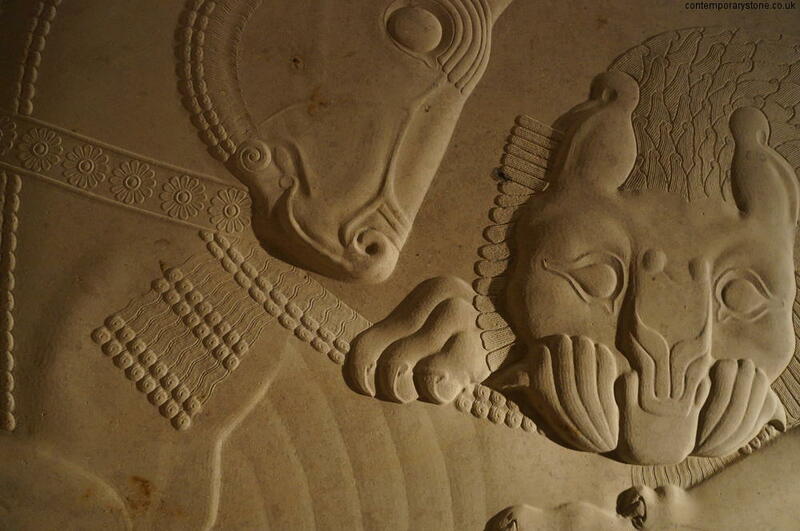 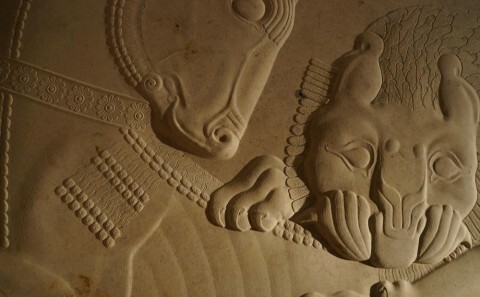 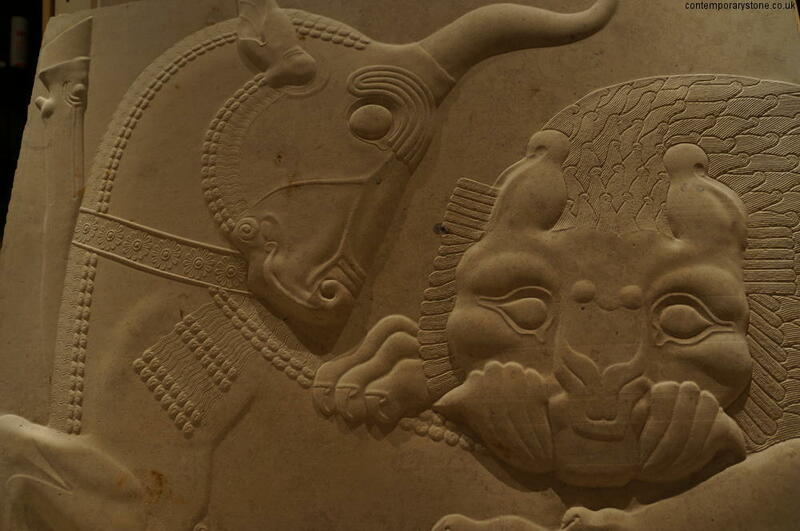 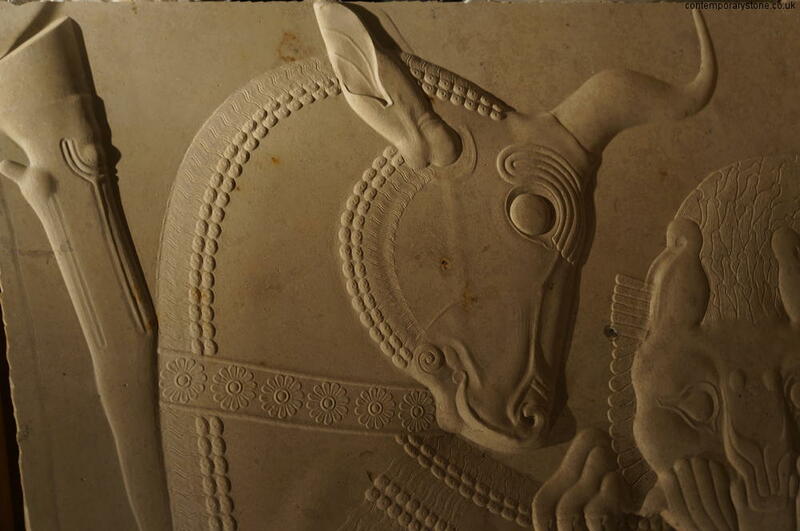 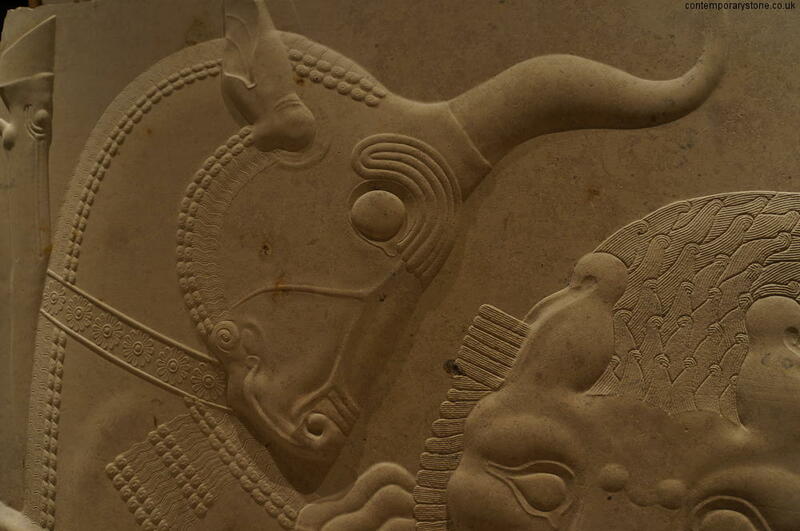 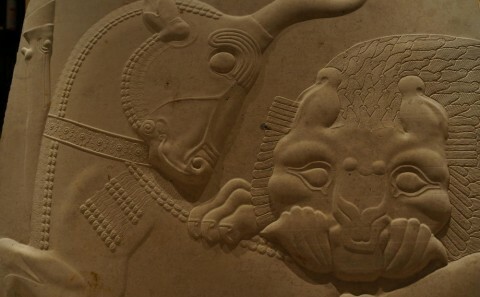 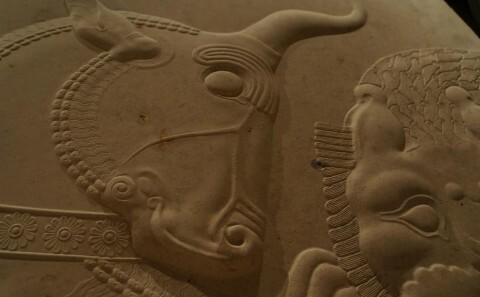 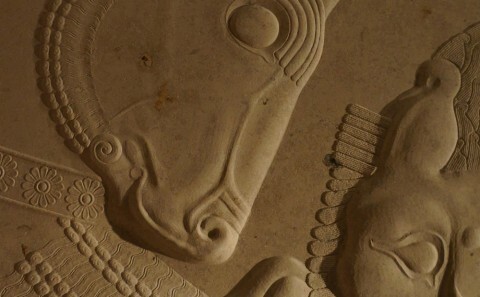 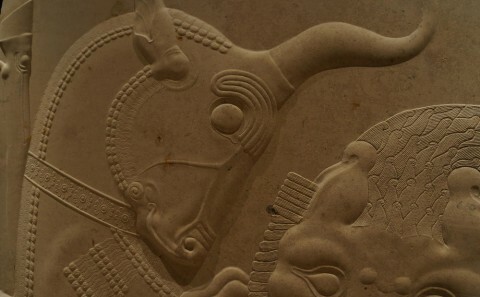 Reproduction of relief carving from persepolis - Contemporary Stone Ltd.
Our reproduction of this ancient stone carving depicting a scene from Persian mythology: Angra Mainyu kills the primeval bull, whose seed is rescued by Mah (Avestan: Maonghah, the moon) as the source for all other animals. 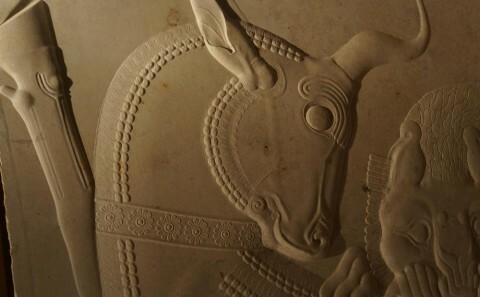 This item has an in-depth case study. 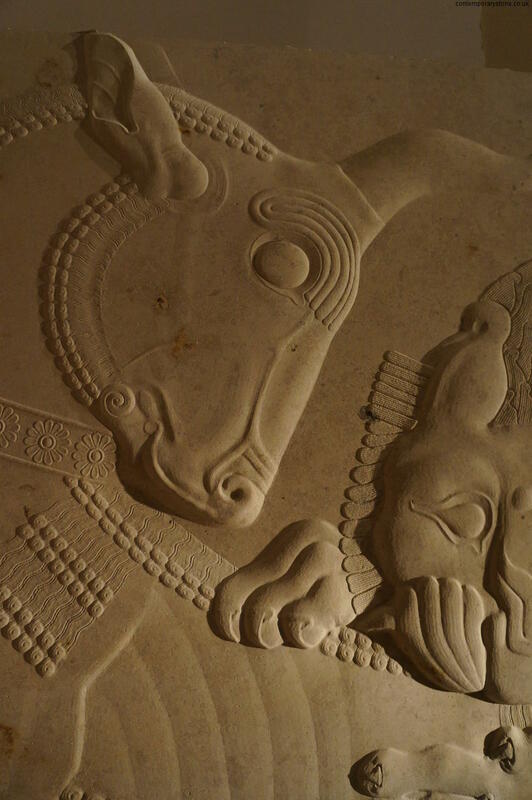 They decorate two monumental stairways which give access to the hall, which have been left in ruins by conquerors and time. 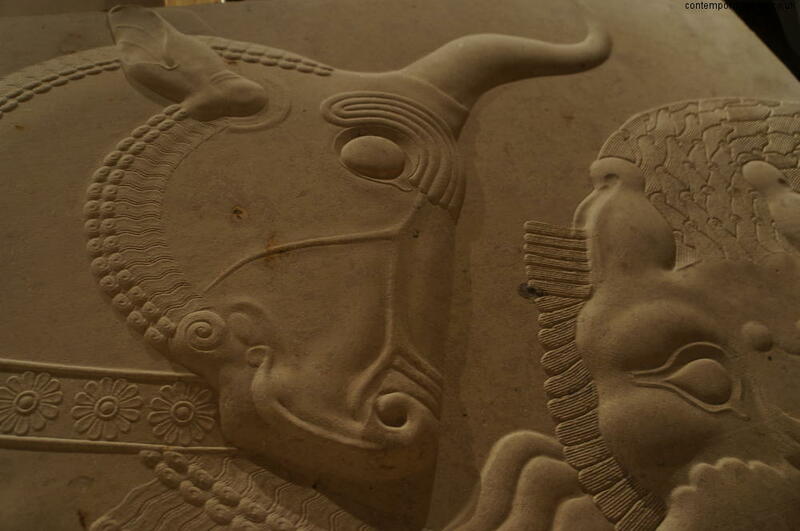 Examples and reproductions can be found at the British Museum and now our own factory.